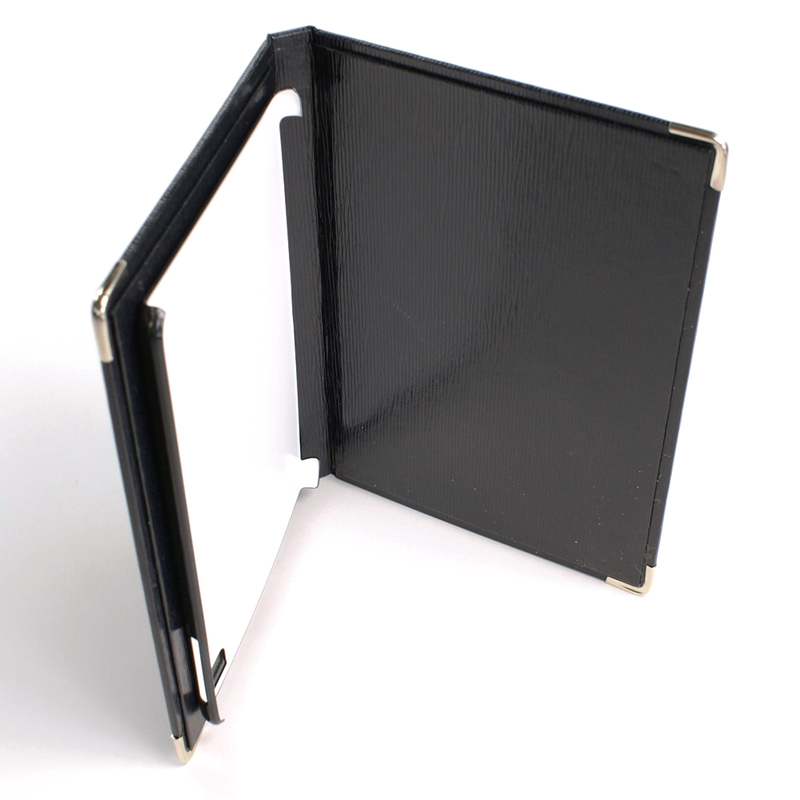 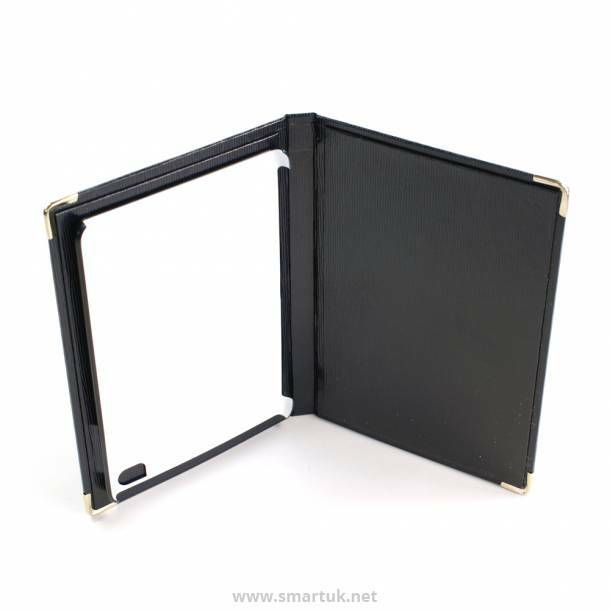 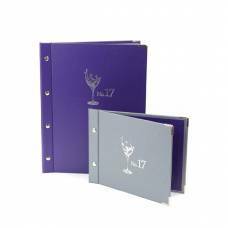 Bespoke iPad Holders - iPad Menu Cover can be created to hold any size of device, for those looking for a tech-savy menu cover, this is perfect. 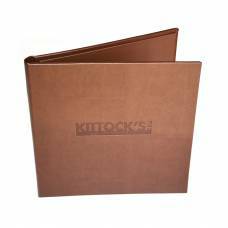 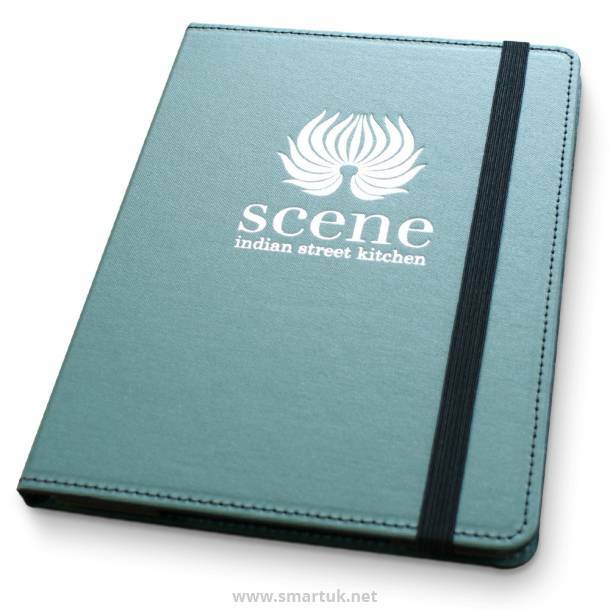 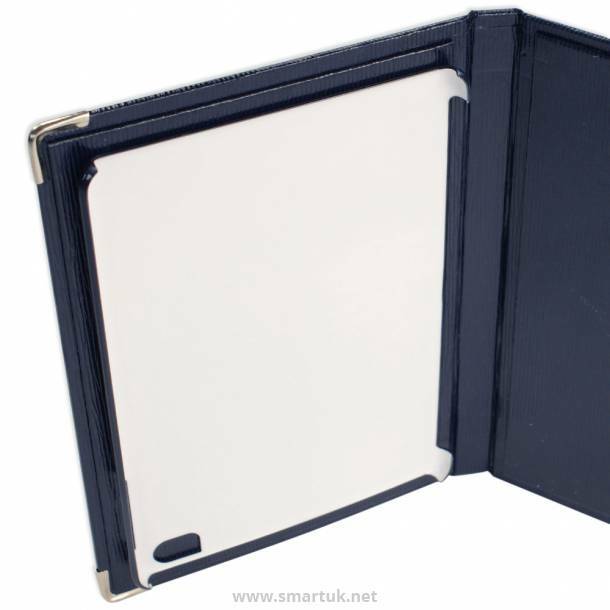 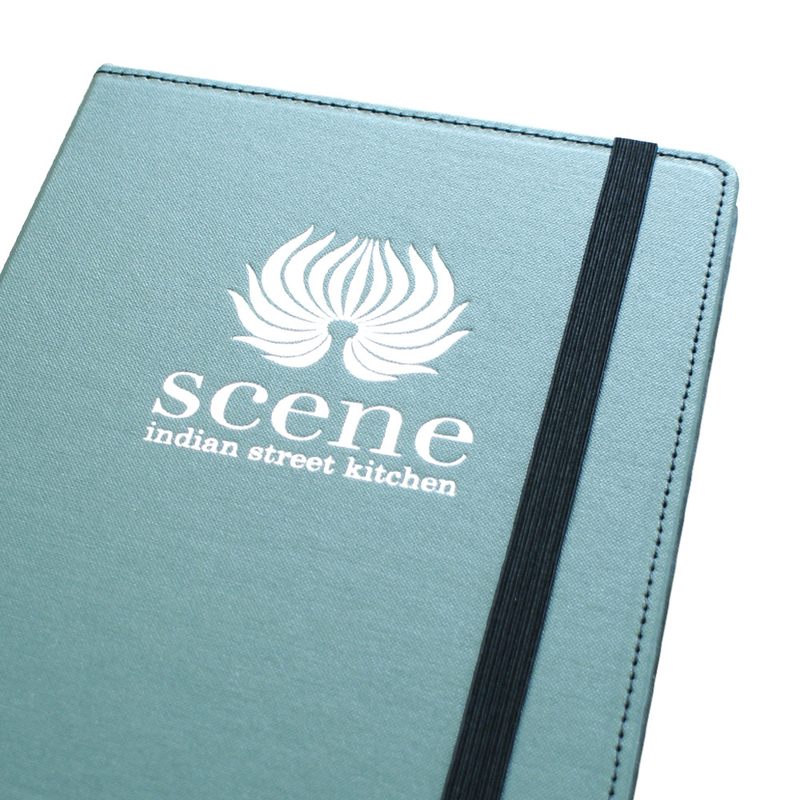 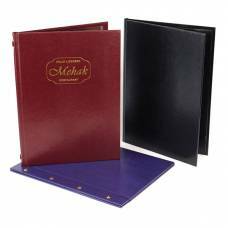 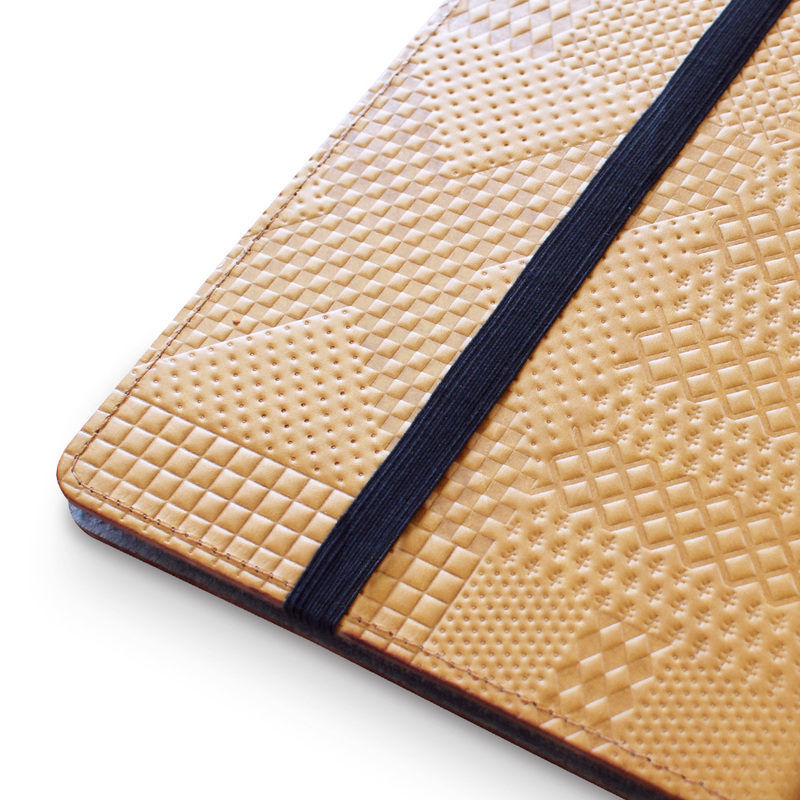 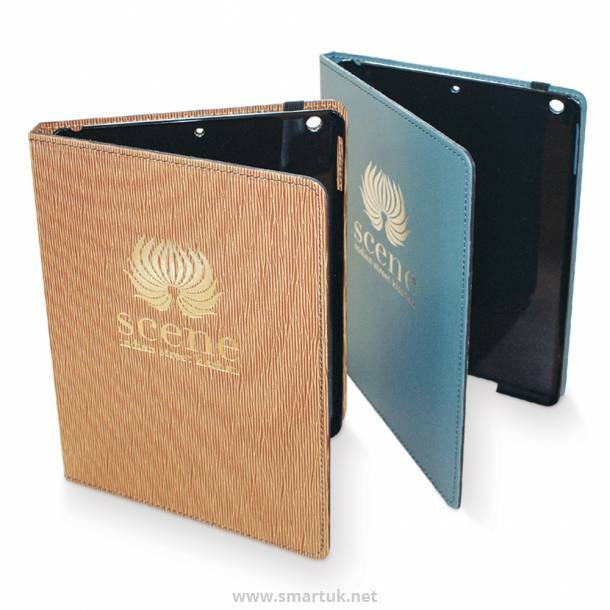 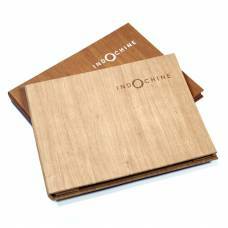 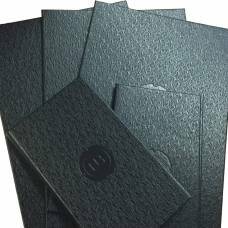 As with our menu covers, bill presenters and guest room folders, we are now offering personalised iPad holders, covered in a material to match your hospitality products. iPad menu covers have the ability to be blind blocked or hot foiled. 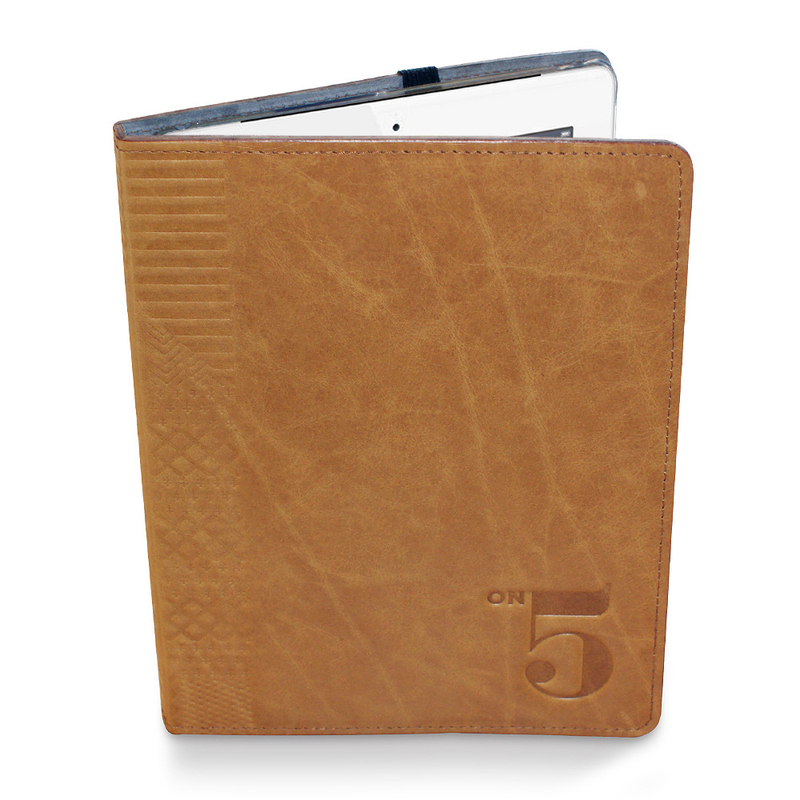 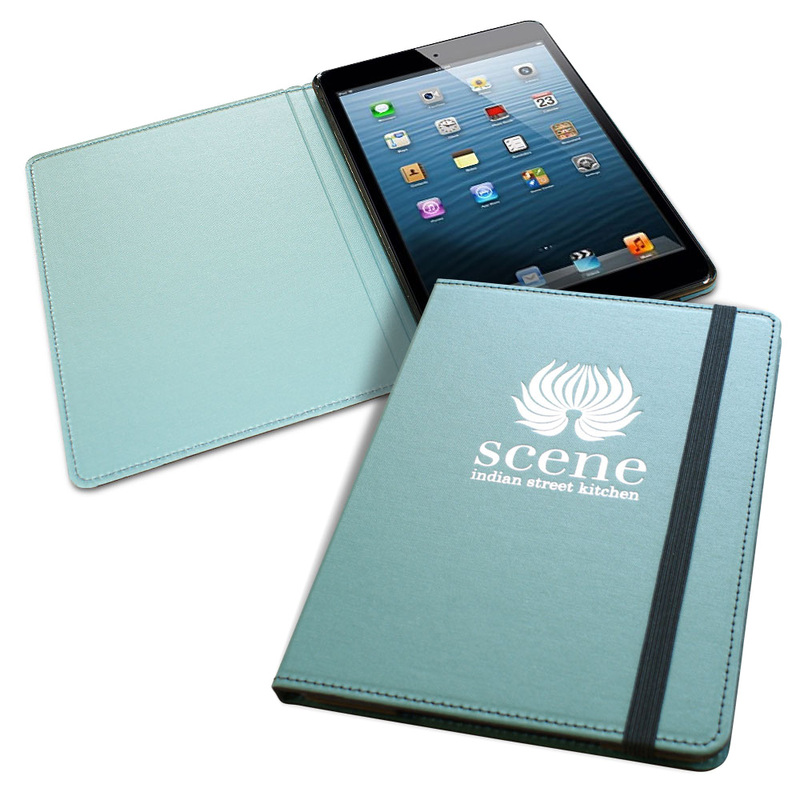 Our iPad Holders are perfect for those venues making use of internet based programs. 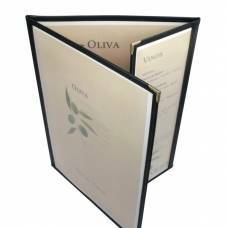 These can be found in guest rooms accross the world or can even be given to diners in a restaurant in order to showcase your online menu or request for a bill payment. 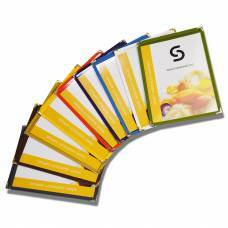 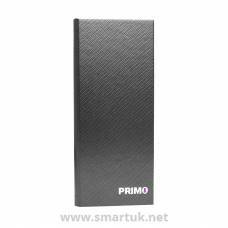 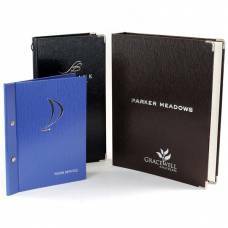 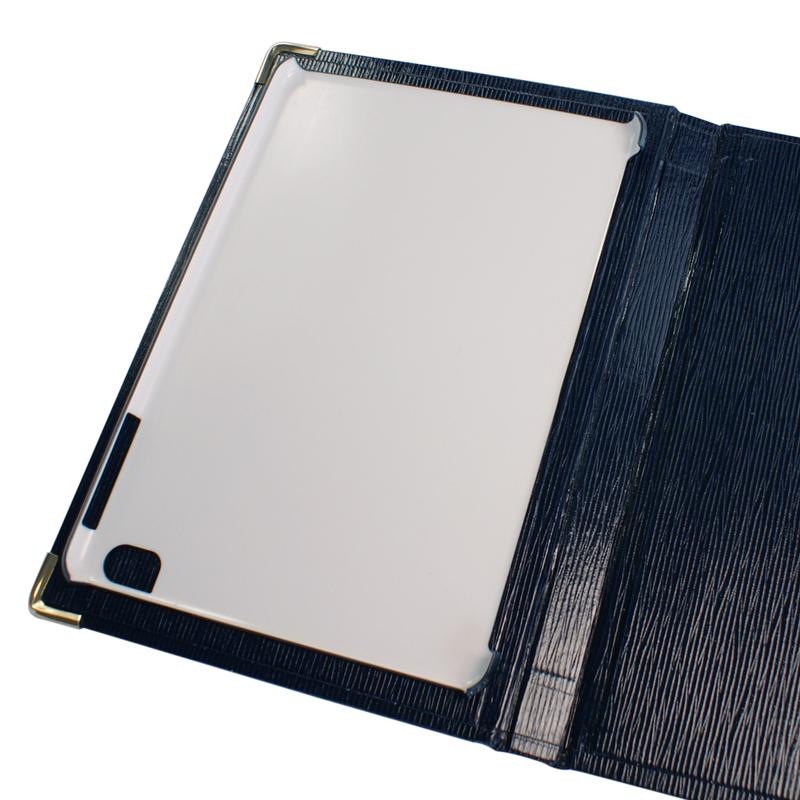 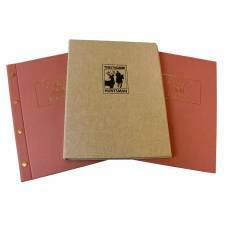 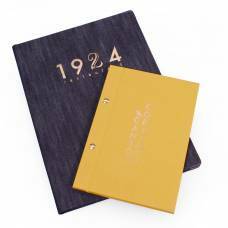 Personalised iPad covers are also suitable for a range of commercial applications, such as conferencing adn sales rep usage. 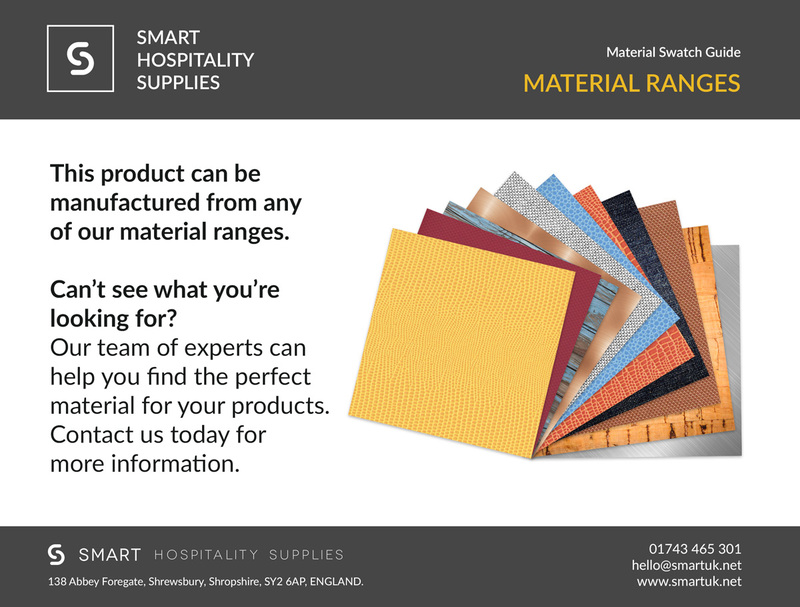 Please call our hospitality sales' department today for more information on how we can help bring your hospitlaity presentation products into the twenty-first century. 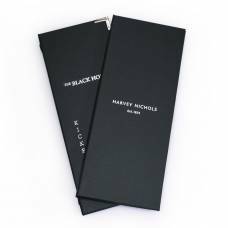 0845 226 02 66.